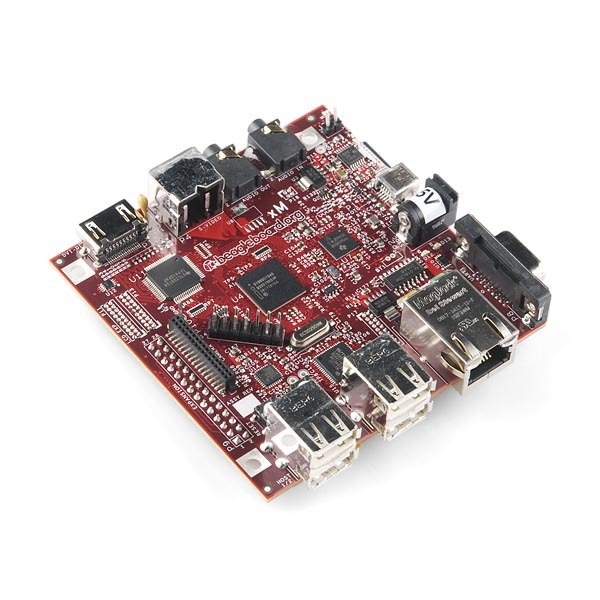 The core of the BeagleBoard-xM is a 1GHz ARM Cortex-A8 chip with 512MB of DDR RAM. This board has laptop-like performance and expandability with very low power requirements. Direct connectivity is supported by the on-board four-port USB hub and 10/100 Ethernet. And all of this coming in a tiny 3.25” × 3.25” footprint! Before working with the BeagleBoard Xm, you MUST read relevant parts of this manual thoroughly. Setting the wrong pins on the BBXm will permanantly damage it and render it useless.